Like when you’re lazy for two days straight you balance it out with a weekend hike. Or when you have too much laundry on the bed you balance it out by putting some laundry on the floor. Or better yet, when you’ve had too many gluten- free treats [i.e. cinnamon roll for breakfast and fried pickles & chicken fried bacon for dinner (hey, they were gluten-free!)] 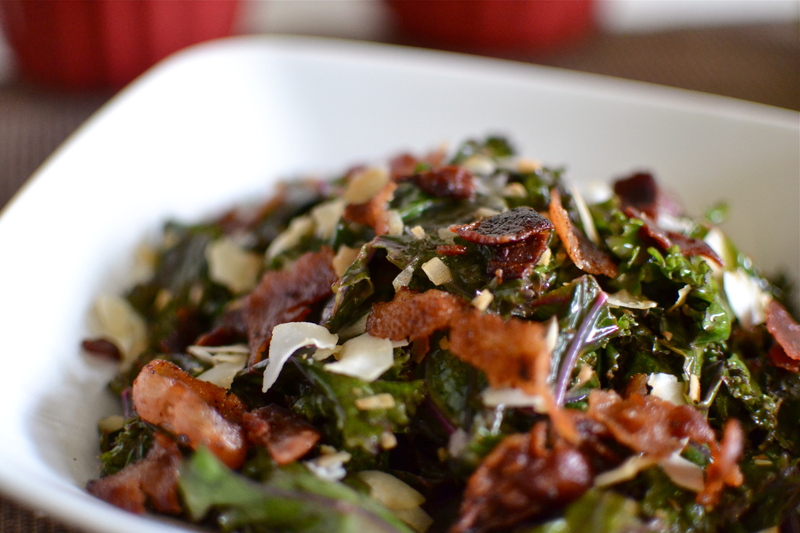 you balance it out with kale… and coconut and bacon. Right?! 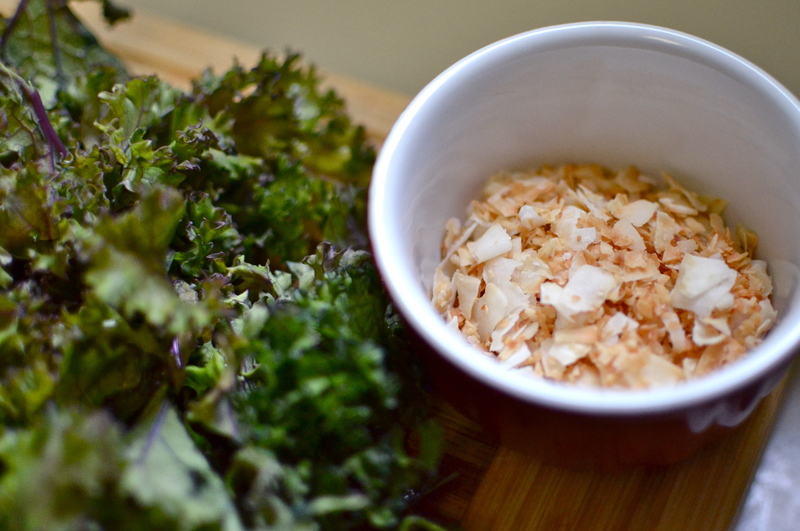 In a dry pan toast coconut over medium-high until lightly browned. Be careful, it happens quickly. Remove coconut and set aside. Place bacon into pan and cook until crispy. Set aside over paper towels. Crumble when cooled. Rip washed kale from stems and into bite sized pieces. Depending on how much bacon grease is left in the pan add coconut oil until pan is coated. I like to use some for a little extra coconut flavor, but really it’s optional. 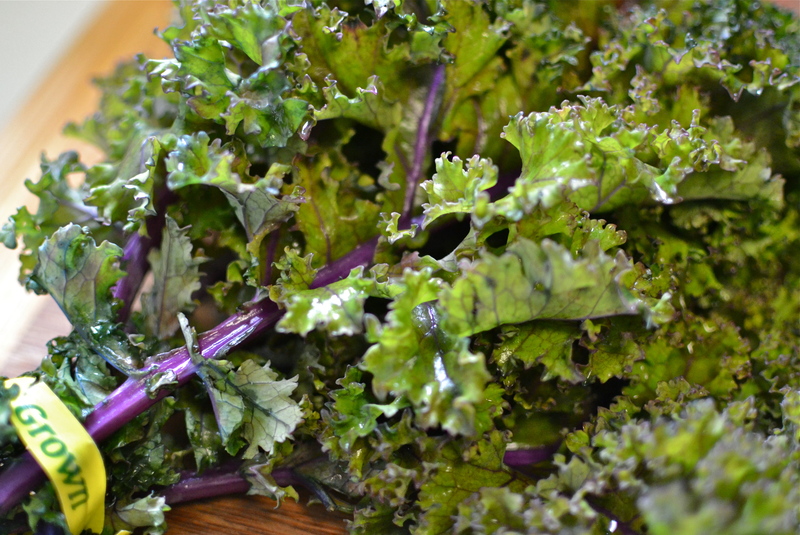 Add kale to pan, keeping it over medium-high. 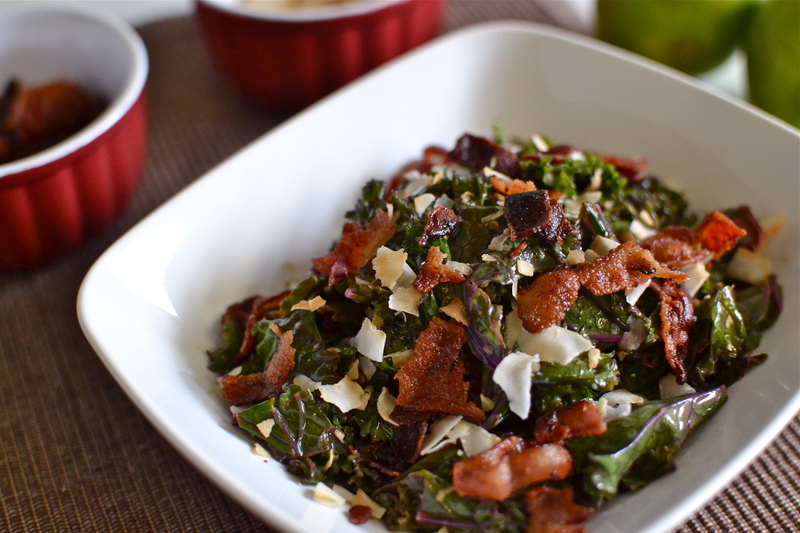 Add the coconut milk, lime juice and salt, stirring until kale is coated. Cook about 3-5 minutes until desired doneness is achieved. Some like it more raw, others like it more cooked. You be the judge. 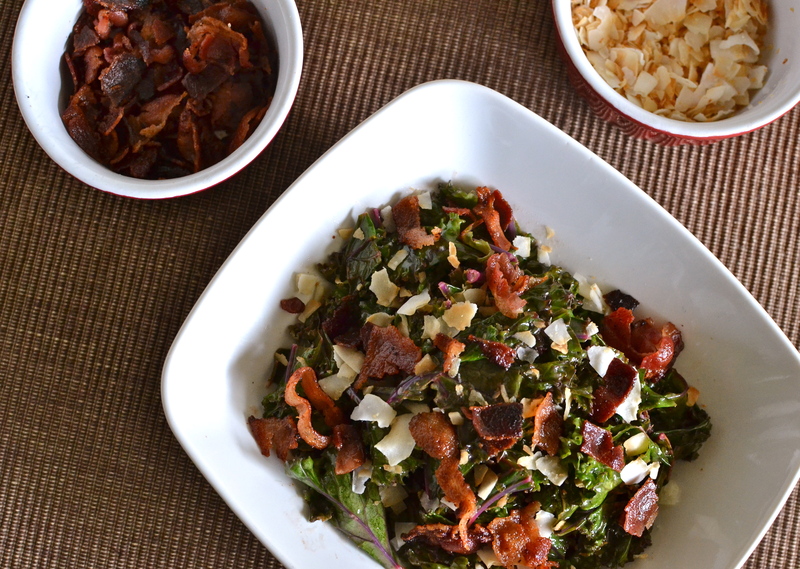 When done move to serving bowl and top with toasted coconut and bacon crumbles. I think I like balance. It is!! Thanks 🙂 ! Oh my gosh, what a perfect combination of flavors and foods. I will definitely be making this! Two of my favorite things 🙂 let me know how it goes!